Recently I wrote a piece called Advice for older people who want to exercise; as articles go it wasn’t bad. But I wanted to write more and as I learn, I want to share that information. So I’m going to expand on that piece and give you more detailed information, to help you work out, what is right for your situation. I’m still on the right side of 60 but I’m getting there fast, and to say I’m unfit would be a bit of an understatement. What I’m going to discuss today is still in the realm of common sense but applying it could make a lot of difference. What should come first before any exercise at all? The answer to that is medical advice, your Doctor can advise you on what care you need to take. Is there a certain type of exercise you can’t do or something you should take into account before starting an exercise programme? What personal limitations should you be aware of and take extra care with? You don’t need to be Charles Atlas or that stretchy person from the fantastic 4 films and comics. 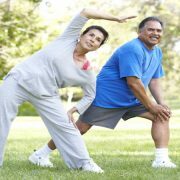 Getting fit and active is simple, and with the right advice putting a fitness plan together is not a hard thing to do at all. Everyone’s budget is different, mine does not include enough money for a personal trainer. What I did was research the internet. I spent hours and hours putting together a plan for me to improve my fitness, without injury. I took ownership and responsibility for the unfit state and condition I’d allowed myself to get into. By finding out the facts on how to improve my own health and mobility. For now and later on in life. At a later date I may book a one off session with a trainer in my own home to get further help and advice. Working on the principle that two heads are better than one. But to get started I did not need that expense. What are the right questions to research about a fitness plan? My knees are shot so I needed to avoid injuring them further. I have not done any exercise in the last 30 years. So gathering the right information was important to me. In this particular case, I looked into low impact exercises. Exercises that would not place any extra strain on my joints. The point being, people start in January and usually give up by February. That doesn’t work. It really takes willpower patience and time to get that toned fitter body. It is not going to happen overnight. Commitment and persistence is the key. We live in a world where everything can be so easy. You want groceries, the supermarket delivers. You need a book or a pair of shoes, you can get them online. Basic exercise to get everyday items is almost a thing of the past. It is now far too easy to become sedentary. To become a couch potato. More simple examples of this are: Who goes to the bank to pay bills, who goes to a post office to tax a vehicle? Almost every aspect of our daily life, that used to require some sort of exertion can now be done online. In a way we were forced to move our bodies, to get things done in previous years. We had to be more active. Now moving our bodies is a choice. And if you spend any time at all watching the news or reading the papers, facts about a growing obesity problem in the western world cannot have escaped your notice? Personally I only have to look at my own waist line to see the truth of it. There are a lot of exercises that are perfect for doing at home. The point I’m rambling towards is a good way to stick to the plan is make it a regularly scheduled commitment. Put it in your diary make and make it a must do thing. Mixing with people matters as well. If at all possible, involve a spouse partner or friend in some of; if not all of your chosen exercise activities. Sociability matters and it will help. I feel that I have added some value to the previous post. I will end this one with a few more of the tips I got during my research. Unfortunately, not my favourite beer in this case but water and other non alcoholic fluids . Before during and after a workout. The advice was to actually drink more on a daily basis. Six to eight glasses of fluid a day was the amount I found as best advice. NHS Choices a British health service site backed up that information. If you can find someone to exercise with it will and does make it easier to stick to the plan. You will be less tempted to skip sessions if a friend is exercising with you. Perhaps a session in the park or a group activity in a local community centre of some sort? The value of a schedule that you stick to, cannot be over emphasised. This is a golden rule. But remember to leave some rest times in-between your exercise days. There is nothing to stop you doing a short little extra home workout, if you really want to. But don’t burn yourself out. Stick to the plan. Mix it up a bit. You will probably be doing some cardio workouts possibly some aerobics? Consider picking up some light weights which will give your results a boost. One way this will work is while walking briskly. You can pump your arms with the light weights. Monitor and track your results aim to improve, not overnight for sure but over the weeks and months. Keep a record and track how much you are improving and how much closer you are getting to your goals. Ok the last tip to share on this post is this. There may come a time when nothing seems to be happening? Don’t worry just change your routine a bit. 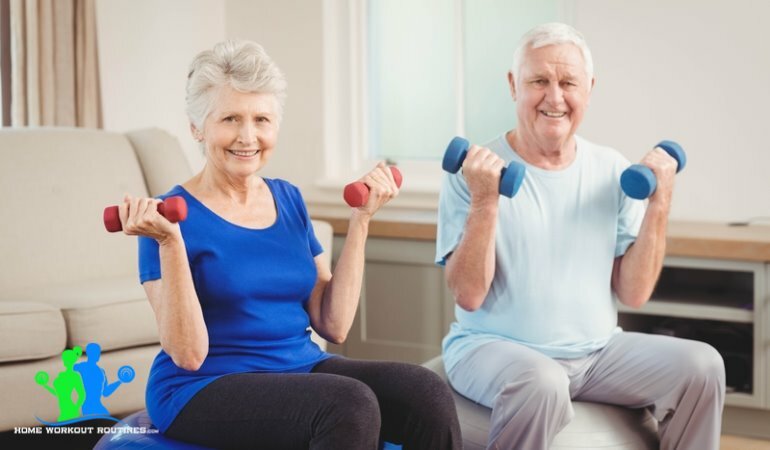 Fat may be turning into muscle your body may be saying “I can handle this much exercise now” Give your routine a boost and get things moving again. Don’t stop and don’t give up. The plateaus will and do stop and the improvements will start again. Ok this is the 2nd in a series of posts. My fitness plan starts on Sunday so bookmark this blog and hopefully you will follow the series. But make sure you check out posts by other writers on this site. 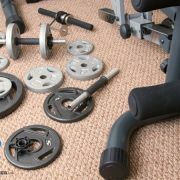 There is a lot of very useful and helpful advice on many subjects related to home fitness routines. There are plenty of exercise tips and plans you could follow and learn from. I would very grateful if you shared your story in the comments section. Perhaps you have a question that I can answer from research I’ve already done into exercising and fitness? Or you could point me in an interesting new direction for fact finding. Any and all comments are welcome!